Discount supermarket teases Waitrose and M&S by seemingly obscuring their poster ads. Lidl has gone to extreme lengths to poke fun at its competitors after launching an outdoor campaign in which their rivals’ ads appear to be sabotaged. 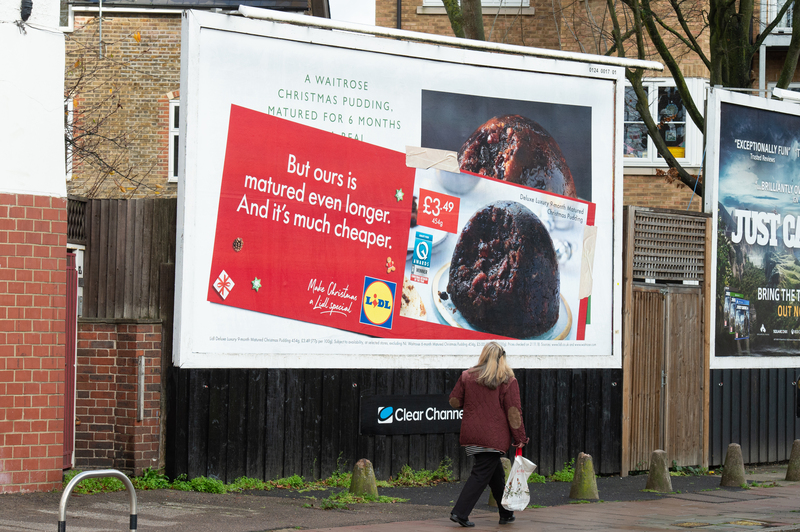 The discount supermarket has launched posters that show ads for Waitrose and Marks & Spencer being obscured by Lidl's own execution that boasts about cheaper mince pies and Christmas puddings. The Waitrose and M&S ads are not real but they depict real products and ranges that are comparable to what Lidl offers. 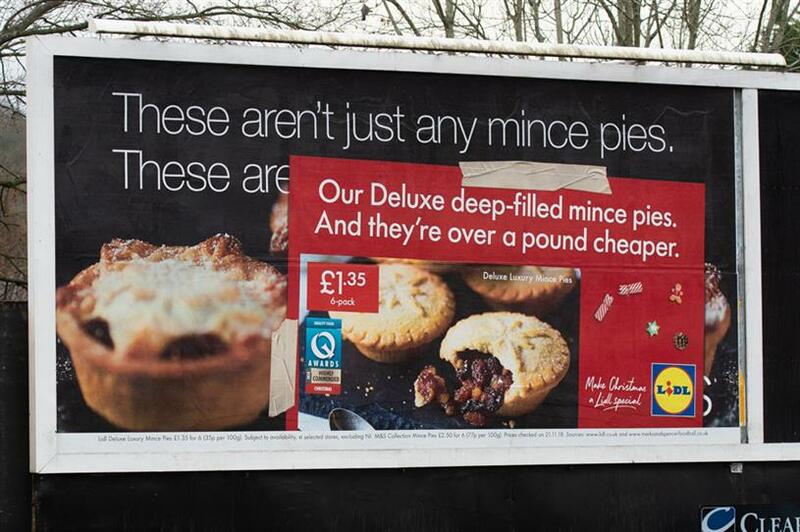 Lidl’s confrontational campaign has been bought in locations within close proximity to M&S and Waitrose stores across the UK until Christmas Eve. Andy Jex, chief creative officer at Lidl’s ad agency, TBWA\London, said: "There's always better quality and prices at Lidl and where better to tell everyone that than on the doorsteps of their competitors?" The work was written by Geoff Smith and art directed by Simon Morris. Lidl said the activity ties in with the brand’s wider strategy that there is no need to go to more expensive supermarkets and pay more during the festive period. The supermarket unusually splits its media account between planning (OMD UK) and buying (Starcom). TBWA and Lidl’s relationship is due to end after after five years and the supermarket is in the latter stages of its review. Karmarama, Leo Burnett, VCCP and WCRS are pitching for the business.